Comment: Interested in have our roof inspected to ensure all is well. There are some moisture issues in part of the house and we would like to confirm if that is roof related. Comment: We just bought a 2700 sqft house that was built in 1936 and want to have a second inspection done to compare against the inspection that the sellers paid to have performed. Comment: Initial home inspection was conducted, and a crack in the foundation was found. 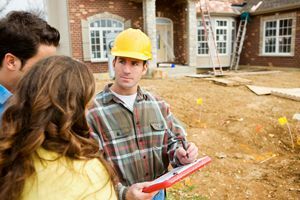 It was beyond the qualifications of the home inspector to evaluate, and a foundation specialist evaluation was recommended. Comment: Buying Eichler-style home with roof replaced in 1990 and leak repaired in 2018. Also interested in adding bathrooms, living roof, and solar panels. Comment: I'd like a roof inspection to assess the condition of my roof. San Mateo Home Inspectors are rated 4.72 out of 5 based on 166 reviews of 13 pros. Not Looking for Home Inspection Contractors in San Mateo, CA?